Curses 'N Chaos is an example of game purity. One screen, simple controls, and intense difficulty. There isn't much replayability outside of playing with new friends or going for a new high score, but just getting through all of the stages the first time will not be quick. For players who fancy a challenge, either solo or with a friend, Curses 'N Chaos is not one to miss. Curses N' Chaos is a good arena brawler that throws you right into the action. It may not be the most graphical intensive games out there, but Tribute Games has created something that you can get engrossed in really quickly. 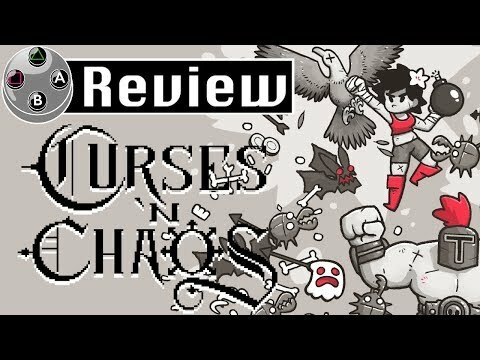 You will die a lot to make progress, and that may not be for everyone, but if you like your brawlers, then Curses 'N Chaos is certainly worth a look. You'll need the patience of a saint to break this curse, but if you've got the skills then Curses 'N Chaos can be a very rewarding game. Strong design and a surprising amount of depth offset some minor niggles, and thus with a low price tag, this is well worth bashing your gaming skills against. Curses 'N Chaos will appeal only to a very small niche market. Enjoying it requires an intact nostalgia bubble and a friend to play with, and even then, there are better options out there. Tribute Games have admirably captured the immediacy and charm of retro gaming, but they've also revived its unfair and ill-conceived design techniques, many of which died out for good reason. It showcases classic gameplay in its purest form, demanding a level of skill and timing not present in many games recently. Defeat never feels unfair; if anything, it encourages the player to pick the controller back up and improve. The music is a joy, and the canvas the art is weaved through is testament to a team who have created a highly addictive and polished game. All up, Curses & Chaos boasts tighter mechanics and an overall more polished presentation than contemporary retro-themed indie games. Although I wish it did a better job of being captivating for more than a stage or two at a time, those exhausted with 2D brawlers ought to give it a go because of its unorthodox gameplay quirks and pulsating atmosphere. Although Curses 'N Chaos only appeals to a niche crowd, its target audience will be overwhelmed by the fantastic gameplay and amount of distinct enemy types.